Do you? Have you considered that you might be on your way to having diabetes? How’s your energy level an hour after you’ve eaten? Two hours? Three? 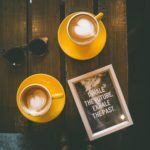 How often are you experiencing the 3 PM slump during the work week, going out for an afternoon coffee, or hitting the vending machine for a candy bar or soda? How many energy drinks are you downing each week? What if it didn’t have to be this way? By the time most people find out they’re diabetic, the disease has been waging a war on their body for 10-20 years or more. That’s a lot of damage that needs to be undone. For instance, without reversing this disease, you are looking at the possibility of losing a toe, foot, or leg. Your risk for heart disease increases, which means having a heart attack isn’t out of the equation. Losing your eye sight, or suffering kidney damage, requiring dialysis several times a week, if not every night, is a real threat. In short, these are merely a few of the things that could go wrong. This is serious stuff! Most importantly, it’s time doctors start testing for diabetes and learning that this disease can be prevented. Further, they need to know that diabetes can be reversed in most Type 2 diabetics. The Catch-22 of diagnosing diabetes. The numbers regarding diabetes are staggering and are projected only to climb higher. Someone, somewhere, needs to start testing people. Call me a jerk, but I think if you are 15+ pounds overweight, then anytime you see a doctor, you should be tested. There, I said it. The ramifications of this disease are too high, and above all, I care about you too much to let you suffer! People need to have their blood sugar checked along with having their cholesterol tested. These findings can tell us SO much. 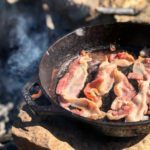 I’m not just talking about what your doctor thinks is valuable information (Psst, I know which cholesterol numbers to use in math ratios to tell you if you are pre-diabetic, insulin resistant, and at risk for a heart attack). Once diagnosed, folks are typically prescribed medication and, after that, may be told to see a registered dietician or nutritionist, which often aren’t covered by health insurance. Therefore, I question how many people seek them out. On the other hand, the local hospital may offer a free class on what you should be eating. However, sadly, these folks aren’t well read on the latest research findings on how to best treat this disease. Diabetics tend to gain weight over the years, requiring more medications, and may have to go on insulin, which consequently, causes more weight gain. It’s a vicious cycle. Medications and insulin don’t treat the root cause of diabetes! Have you heard about the cost of insulin lately? It has sky-rocketed! Folks without insurance, or living on a fixed income, are dying because they can’t afford their insulin. Subsequently, there are people who have to chose between buying food or their prescriptions each month. It’s awful! Did you know that by tweaking the way you eat, it’s possible to: prevent diabetes, reduce or eliminate the need for medications, and also reduce or eliminate the need for insulin if you are diabetic? Most doctors don’t read up on such things. Similarly, they have very little knowledge about nutrition and will never know how to instruct their patients on how to use food to battle this preventable disease. How would you like to go about your day having all the energy you needed, focused, and ‘in the zone’ ? Would it be beneficial for you to get better sleep, have your aches and pains disappear, and more over lose a few pounds? Why not get tested early on, nip the diabetes in the bud and not have decades worth of damage to undo? Did you know that Alzheimer’s Disease is considered Type 3 Diabetes? Is it important to keep your eyesight, limbs, heart, and kidneys healthy? In short, does anything resonate with you? I am here to be an advocate for your health. 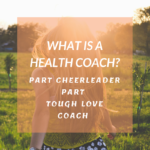 Through behavior change and accountability, together, you and I will discover what works best for you subsequently, while you travel the path to self empowerment and achieving your health goals. It is incredible to watch clients achieve their goals and most importantly, do things they didn’t think were possible! In short, you truly can be, do, have, and experience anything you want. It is my pleasure to help you do just that! If you, or someone you love, can benefit from preventing or reversing diabetes, it will be an honor to connect with you. 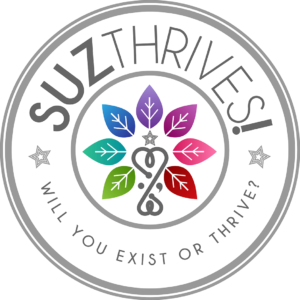 Feel free to schedule a time when we can chat at MeetWithSuz.com by simply choosing the FREE Discovery Session on the page or call/text 540-355-6029. Will you exist or THRIVE?! Previous StoryWhat Would Happen If You’d THRIVE This Spring?